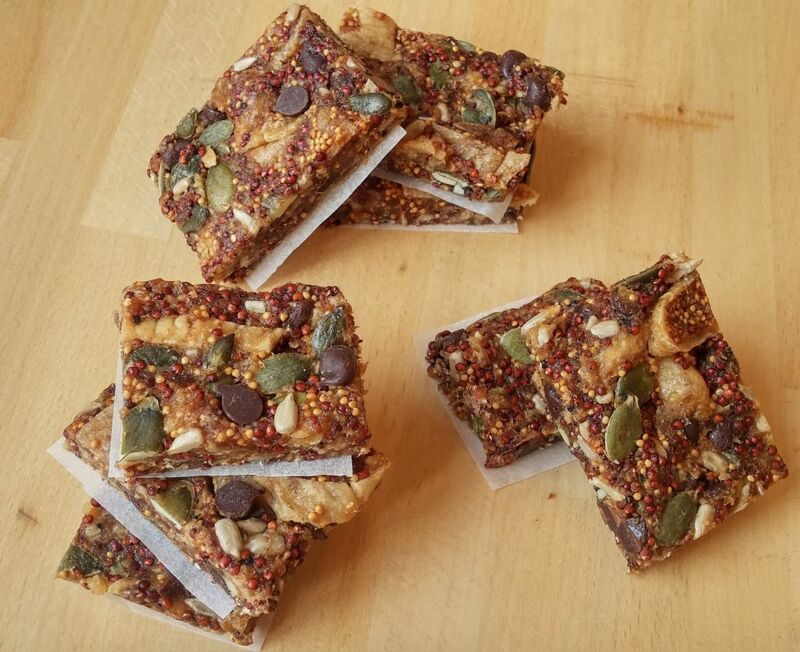 As promised, I present to you these Red Quinoa Energy Bars which truly are a delight. These quick energy bars are packed with goodness! Plus, they’re a healthy kids snack and are ready in under 10 minutes. Start off by gently roasting the red quinoa for a few minutes in an oven at 374 degrees F (190 degrees C), making sure not to burn the quinoa. This should take about 5 – 7 minutes. Once the red quinoa is ready, take out of the oven, let cool, then place in a bowl. Add the pumpkin and sunflower seeds to the bowl, along with the chocolate chips and a pinch of salt. Cut 4 of the Figs into chunky slices and place in the bowl. 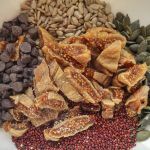 Place the remaining 1 fig and the medjool dates into a food processor and blend until it resembles a paste like texture. All that’s left is to mix everything together, transfer to a tray lined with baking paper, so our no bake energy bars won’t stick, and firmly press everything into an even layer. Now place in the fridge for an hour until it sets. 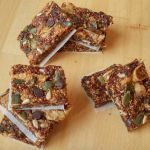 Finally slice up your bars into the desired length of your choice, I cut mine up into roughly 2.3 – 1.5 inches (6 – 4 cm) pieces and store in the fridge in a closed plastic container. They’re best when they’re straight out of the fridge. So there you have it, let me know how yours turned out, I’d love to hear. 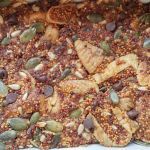 For more delicious homemade healthy snacks stay tuned here. I must try it today!! Wow looks so delicious and the combination of the colourful ingredients…just adds extra beauty and energy!!! !